"I'm feeling blue," I thought to myself. Thinking about the color blue made me think about Picasso's Blue Period. 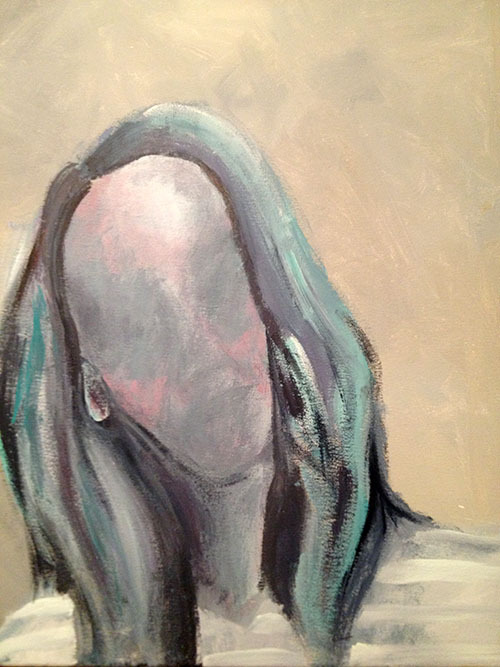 "I like painting– that might cheer me up," I thought. 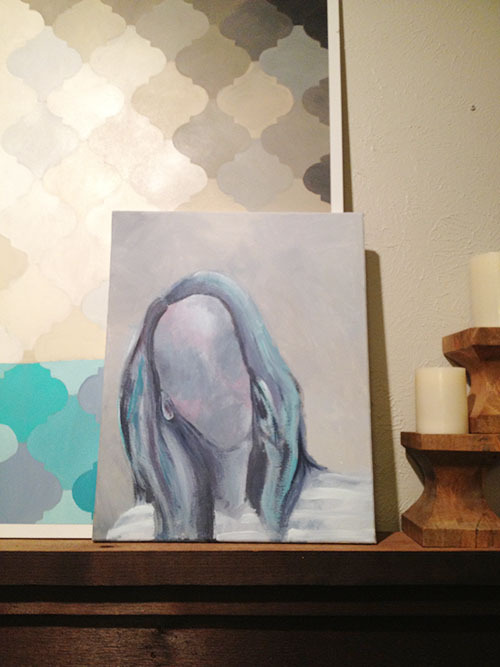 "I should go home and paint a picture of myself in my blue period. A blue 'selfie,' like Picasso would do." So I jogged myself right back to my art studio and pulled out my blue acrylic paints. I was done with my Picasso-inspired self portrait an hour later. And yes, it did help clear my head. Painting is therapeutic– unless you don't like what you're painting and it's not coming together how you envisioned, in which case it becomes highly frustrating! My husband said it was "a little creepy," so I added some pink cheeks. Pink is a hopeful color, don't you think? The late Lily Pulitzer said so: "Anything is possible with sunshine and a little pink." That's a fabulous quote that I wished I owned in poster form. My next artwork, perhaps? 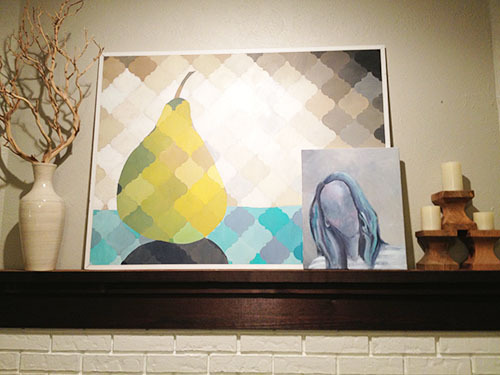 I like how she looks up on the mantel, layered with my pear painting. I used a lot of the same blue craft paints in each piece, so they tie together nicely. I want to know, what do you do to cheer yourself up when you're feeling blue?